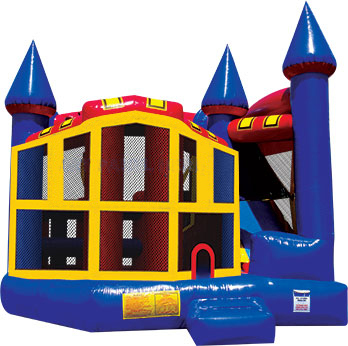 This 30 1/2 ft. long and 16 ft wide tropical bounce house is a kid’s paradise featuring a basketball hoop and bounce area. This rental unit offers a 2 lane slide so party goers won’t have to wait too long for their turn! This is a wet/dry combination house featuring a 7’ slide, climbing wall and basketball hoop inside. 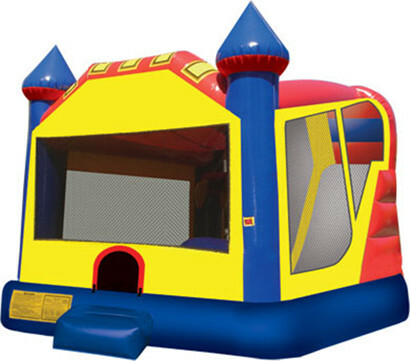 Measures 16’x 21’ total size with an 10’x18’ bounce space. Get ready for some fun in the sun! 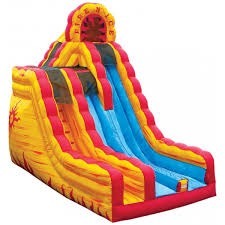 This inflatable slide can be used with or without water. 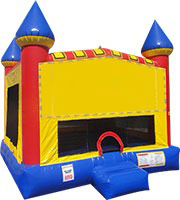 Measures 20’ tall with a 32′ long slide with the banked curve attached. 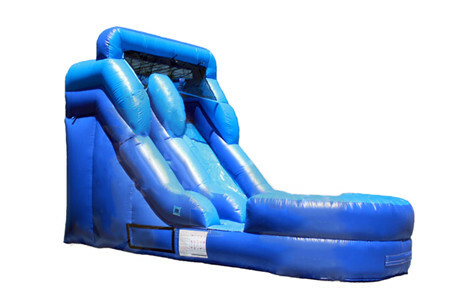 This rental unit features TWO 15′ slides. 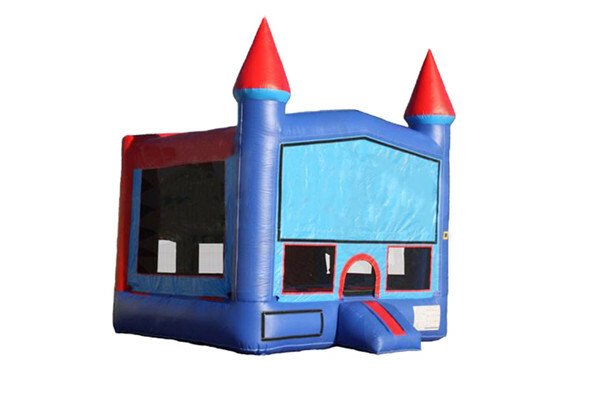 Measures 20′ 6″ x 18′ 6″ x 15′ 6″. 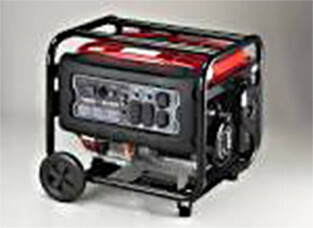 *Starting price listed is for use without water only. 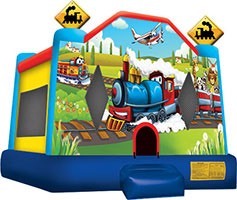 Excitement awaits with this wet/dry combination bounce house. 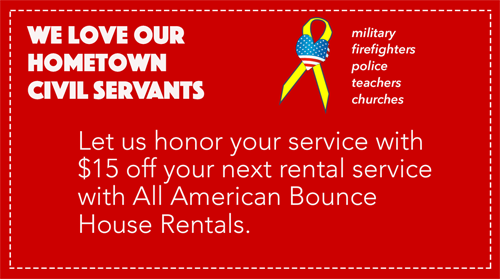 Features include a slide, obstacle course, climbing wall, jump area, and basketball hoop. 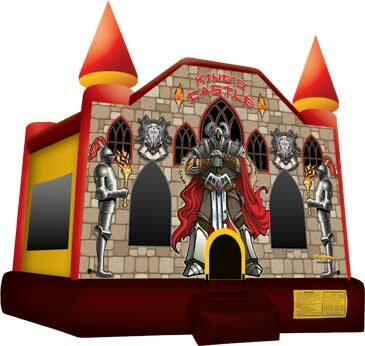 Measures 19′ x 20′ x 17′ tall. 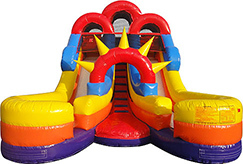 Test partygoers’ endurance and speed as they race side-by-side in this dry obstacle course. 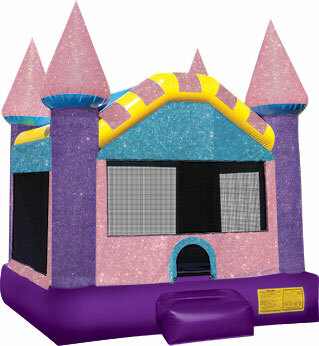 Features interior climbing wall, pillars, tunnels, and a slide. Measures 11’ wide x 40’ long total size and stands as high as 12’. 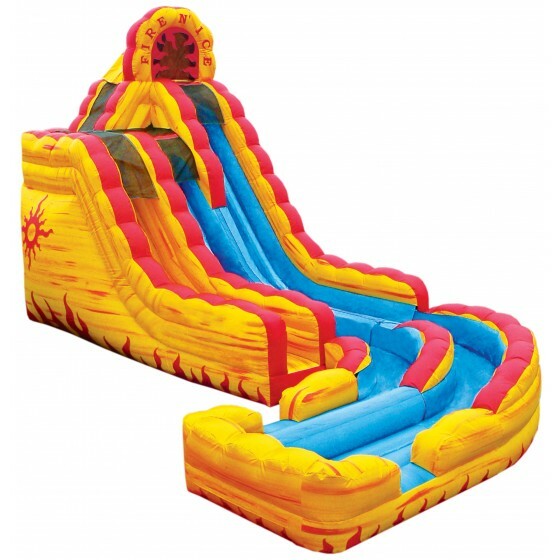 This is a wet/dry combination slide which stands 12’ tall. Measures 10’ wide and 21’ long.